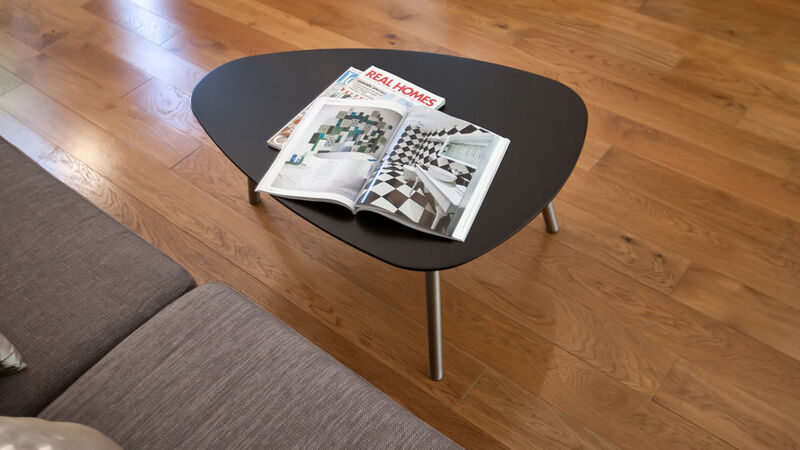 Simple, sleek and very stylish, the Assi Matt Black Coffee Table is perfect for modern family homes. This small coffee table is the perfect perch for your hot drinks and magazines, while its rounded shape will keep your room looking spacious and open. The Assi Matt Black Coffee Table is both a stylish and practical solution for your living room interior.  The pebble-like matt black top is a curvy triangular shape. It has chamfered edges and is slim in profile, making it a sleek centre-piece for any living room. 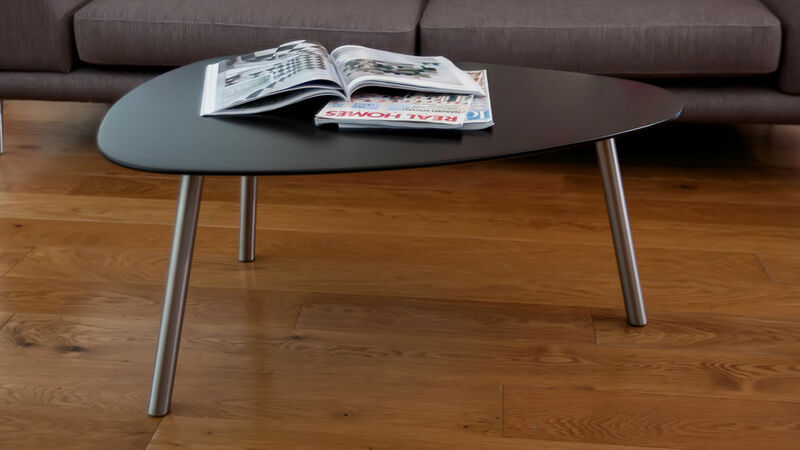 The table top of the Assi coffee table is supported by contemporary rectangular brushed metal legs, which are slightly angled to enhance the overall designer look. 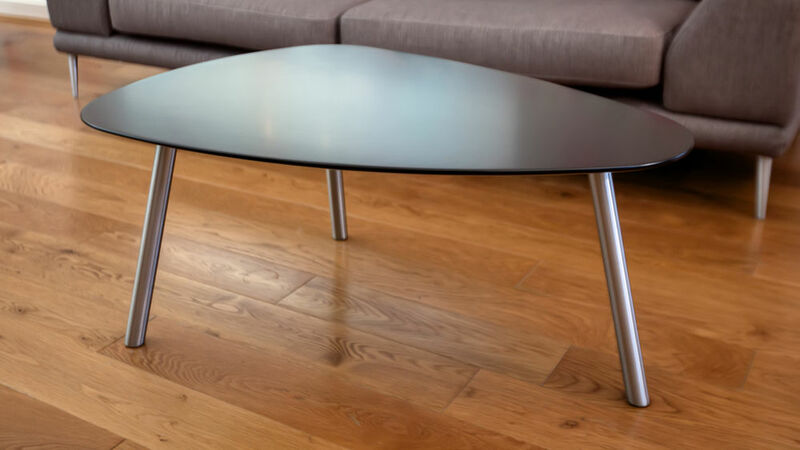 A brushed metal finish was selected for the legs as it really complements the matt black table top, gently reflecting some light and creating a modern look. This Assi Matt Black Coffee Table is also available in two other stylish finishes of white gloss or walnut veneer, so consider you space and style of interior when deciding which finish will look best. The Assi modern furniture range includes extending dining tables, sideboards and coffee tables, so why not browse the Assi Collection to create a sleek and coordinating look throughout your home.